Pennsylvania Family Institute 50% of Central PA Planned Parenthoods have CLOSED in the last 5 years. 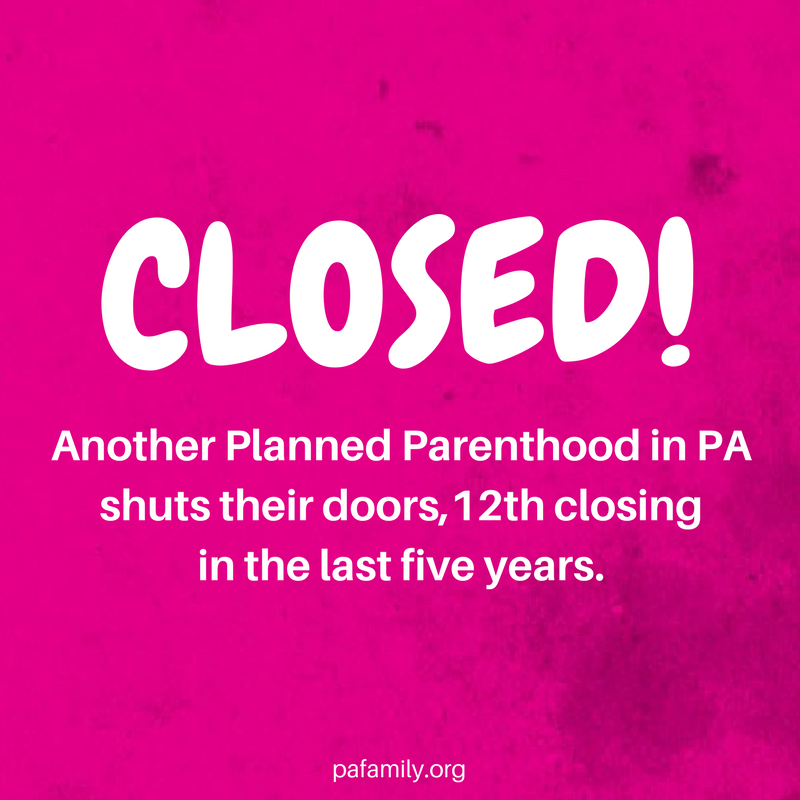 50% of Central PA Planned Parenthoods have CLOSED in the last 5 years. 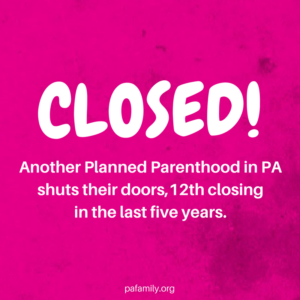 Planned Parenthood Stroudsburg recently announced they are shutting their doors, the 12th Planned Parenthood facility to close since 2013. Planned Parenthood operates three regions in Pennsylvania – Western, Southeastern and Keystone. Since 2013, the Southeastern region has closed three facilities while Planned Parenthood Keystone – who say they cover 37 counties (which is over half of the state’s population) – has closed the other nine locations. That’s a 50% drop of Planned Parenthood Keystone’s facilities in under five years (18 facilities in 2013, now down to just nine). All but one of these twelve closings did not perform abortions on site. The lone location formerly performing abortions – Easton – was the lowest abortion count of all Planned Parenthood facilities covering abortions. After these recent decisions to close facilities, Planned Parenthood now only has 24 locations in Pennsylvania; compared to the over 300 Federally Qualified Health Centers that offer more comprehensive care to women and families. This is exactly why Pennsylvania should pass SB300 – legislation which would take current taxpayer funding for women’s health services and invest it in those offering the best care. For more about SB300, go to BetterCareMoreAccess.com. I support SB300. 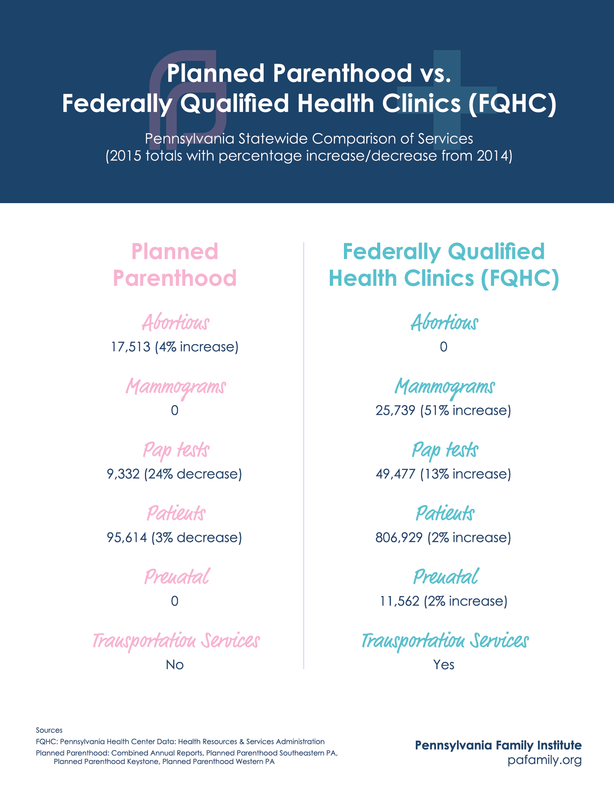 Give ALL of Planned Parenthood’s taxpayer funded money to FQHC, Federally Qualified Health Clinics. Strip PP of it’s taxpayer dollars. Make them advertise or ask for donations!